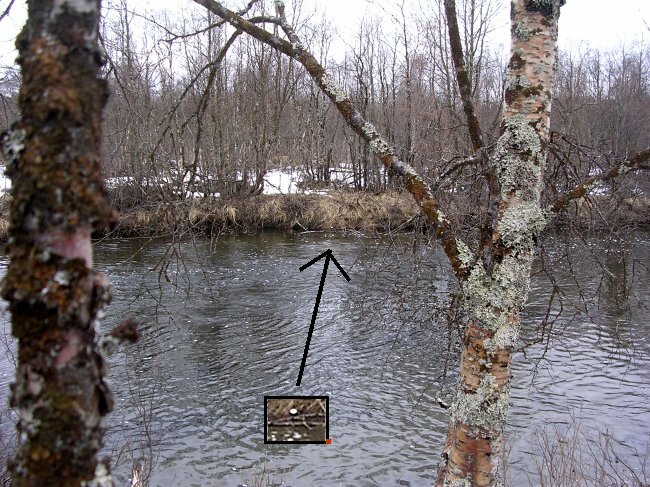 among passerines for their ability to dive and swim underwater. 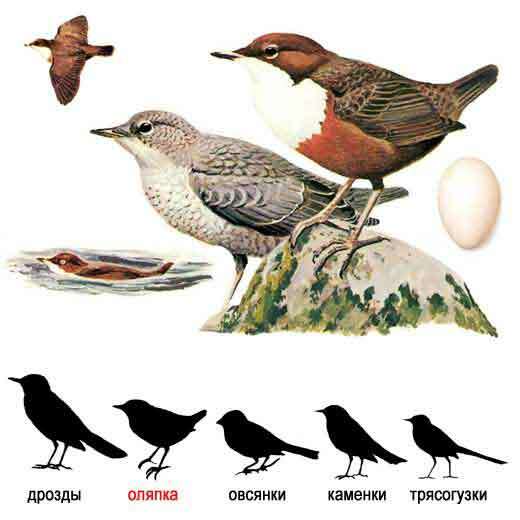 black), or brown and white in colour, apart from the Rufous-throated Dipper which is brown with a reddish-brown throat patch. Sizes range from 1422 cm in length and 40-90 g in weight, with males larger than females. Their short wings give them a distinctive whirring flight. 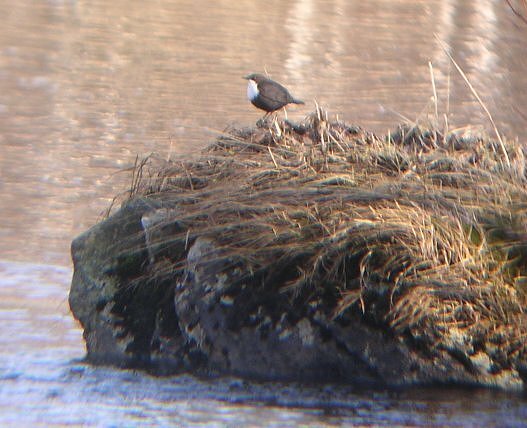 They have a characteristic bobbing motion when perched beside the water, giving them their name. season, they may visit lake shores and sea coasts. and allowing them to remain underwater for up to at least 30 seconds. based primarily on colour differences, particularly of the pectoral band. 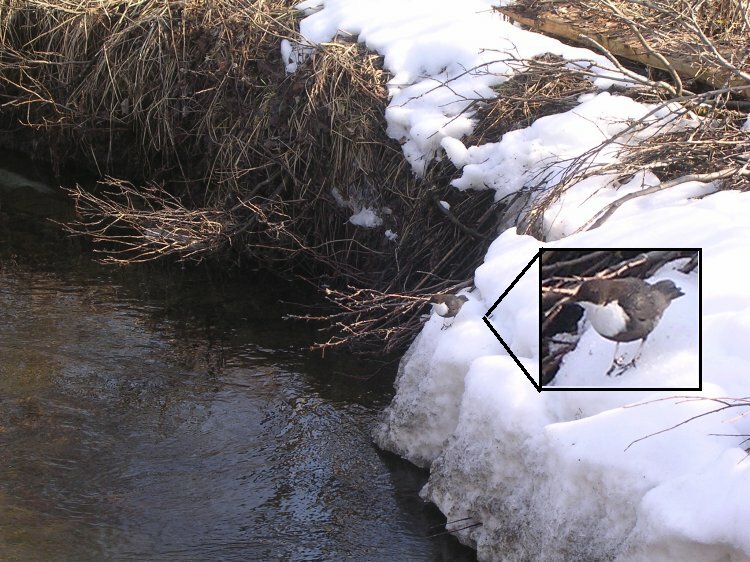 The White-throated Dipper is Norway's national bird. belly and flanks. The bill is almost black, the legs and irides brown. Cinclus cinclus cinclus has a black belly band. Habitat. 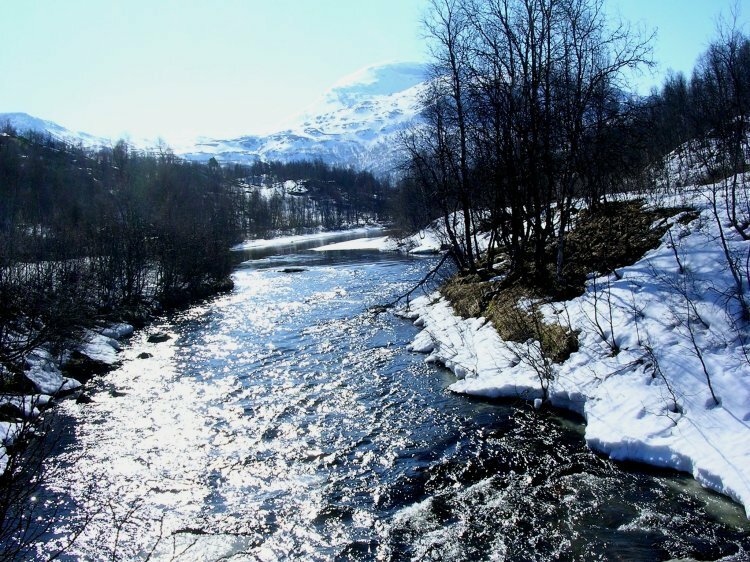 Here from Troms in Northern Norway. 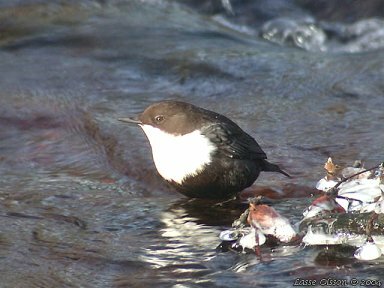 The White-throated Dipper is closely associated with swiftly running rivers and streams or the lakes into which these fall. It often perches bobbing spasmodically with its short tail uplifted on the rocks round which the water swirls and tumbles. It flies rapidly and straight, its short wings whirring swiftly and without pauses or glides, calling a shrill zil, zil, zil. It will then either drop on the water and dive or plunge in with a small splash. a line of rising bubbles. Looking out over the river. an amphipod shrimp. It also walks and runs on the banks and rocks seeking terrestrial invertebrates. forced to descend to the lowlands and even visit the coasts, but some will remain if there is any open water. Watching out for fish in the water. Not allways so easy to spot in the snow. in the masonry, or on the supports of a bridge, or, more rarely, in an overhanging branch. usually in the same nest. When disturbed the young, when hardly feathered, will at once drop into the water and dive. Its much easier to take pictures of swans and geese.